For years, Rochester civic leaders have sought a high-speed rail line connecting their city to Minneapolis, viewing rail as a way to draw thousands of new workers and grow the region's biggest employers, especially Mayo Clinic. But even now as two plans move slowly forward, opposition against high-speed rail is mounting from the people who live in between. 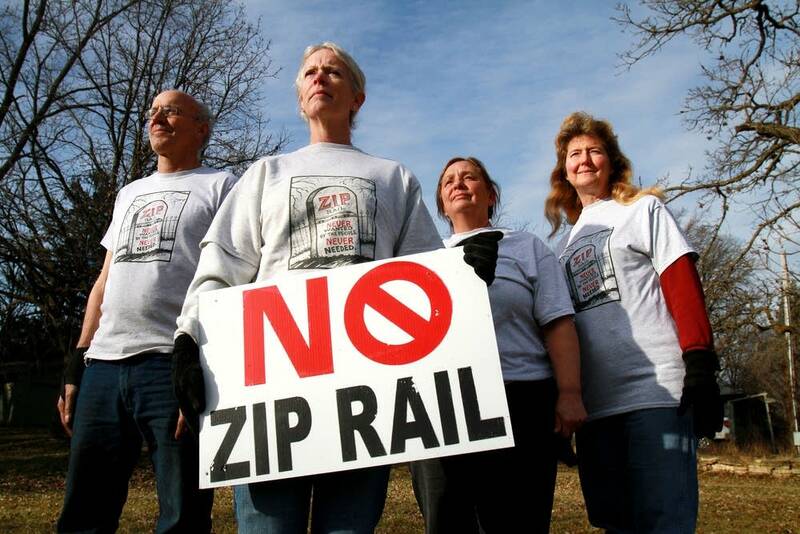 Rural residents living along the U.S. Highway 52 corridor see only the potential problems and costs the project, known as Zip Rail, might deliver as trains speed past them at more than 150 miles per hour. Some say their voices are getting lost in the discussion as Rochester, Olmsted County and Mayo Clinic executives focus on cutting in half the roughly 90 minute drive to the Twin Cities. 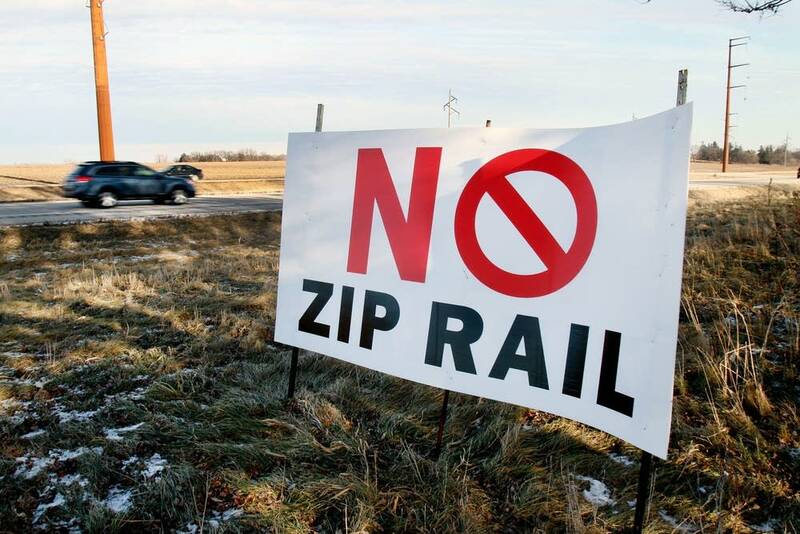 Signs calling for no Zip Rail started to crop up along the corridor last summer. "Our farms are important and our industry is important. And nobody once notified me and sent me a letter and said, 'Hey, we're looking at this plan,'" said Heather Arndt, who lives on a 35-acre farm near Goodhue, about half an hour north of Rochester. 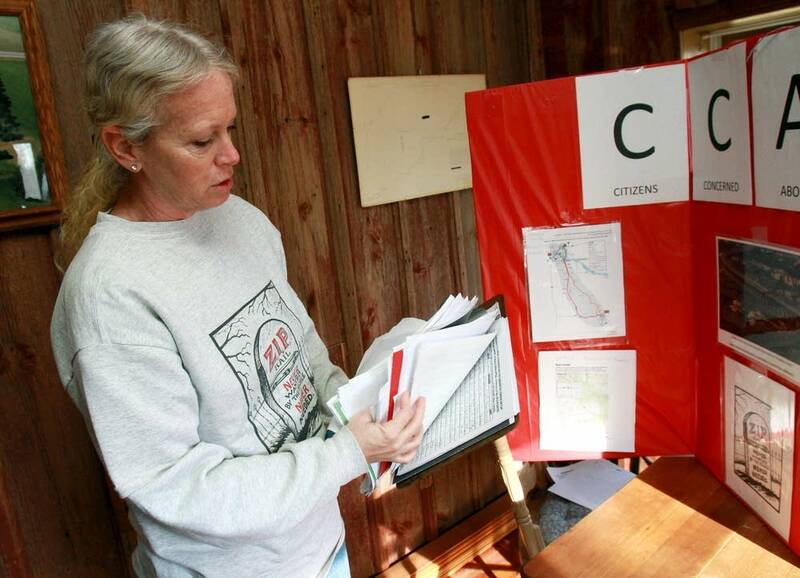 Last year, she joined with other neighbors to form Citizens Concerned about Rail Line, a grassroots group opposed to any form of high-speed rail along the corridor. Their concerns include potential loss of farm and taxable land, loss of traffic that supports local businesses, and the lack of any stops between Rochester and the Twin Cities in either proposal. Arndt says rural southeastern Minnesota shouldn't have to bear a cost for Rochester's multi-billion dollar Destination Medical Center development plan, and the 30,000 to 40,000 workers it's expected to draw over the next 20 years. "If their choice is to take a great job opportunity in Rochester but they prefer to live in the Cities, that is their personal choice," Arndt said. "It should not be the responsibility, the problem or (to) the economic disadvantage of people who live between the two places to have to pay for that." Right now, Highway 52 is pretty much the main way to get to Rochester from the Twin Cities. It's a mostly four-lane, divided highway where cars and semitrailers whiz by fields of corn and soybeans and the occasional farm tractor. Traffic on Highway 52 has grown steadily and that's expected to continue. Volume could nearly double to about 87,000 vehicles a day by 2025, up from 47,000 in 2000, according to a 2010 Highway 52 corridor study by MnDOT (.pdf). Earlier this year, Minnesota Department of Transportation officials released eight corridor options as well as Zip Rail's potential social, economic and environmental impacts. Now, the agency is wrapping up a deep environmental review of the rail line due out at the beginning of the new year. MnDOT paid for the $2.3 million study with mostly state funds. But MnDOT officials say there's no money for construction or even design of the Zip Rail, so it's likely to be suspended after the agency releases the environmental review on the project early next year. A second rail option is being pushed by private investors. The North American High Speed Rail Group is proposing an 84-mile line literally right over Highway 52. The elevated line would run along the median, which would be the least disruptive to the region's farming, said Wendy Meadley, the group's chief strategy officer. The privately held firm based in Bloomington says it has backing from undisclosed U.S. and Chinese investors and expects to raise $4.2 billion for the project. Once it receives a permit from MnDOT early next year, the North American High-Speed Rail group will have 120 days to complete its pre-development study. But state Rep. Steve Drazkowski, R-Mazeppa, whose district includes many of the rural towns between Rochester and the Twin Cities, isn't convinced a project of this size could be free of public financing. "I am not necessarily opposed to them going forward. I support the idea of private business doing their own thing," he said. "But the question about whether they can really do it without the taxpayers of the state being on the hook, I think is the one that provides me a high level skepticism."